If you’re getting married, you probably have a vision of what you want the venue to look like. You’ll want to have lots of memorable photos to hang on your walls and admire long after the big day. Wedding planning isn’t just about booking a country house and ordering a dress. It’s about paying attention to detail and making sure that everything is perfect for you. There’s no universal template you have to follow, and you can venture as far off the beaten wedding path as you like. As a bride, your dress is probably your priority, but you also want your bridal party to look fabulous on your special day. If you’re looking for tips to style your tribe, you’ve come to the right place. If you search for bridesmaid dresses online, you’ll see hundreds of pages full of links and images. There’s so much choice out there, which can be a hindrance as well as a help. Having so many shapes, styles, and shades to choose from makes it virtually impossible to make a decision. Before you start visiting stores with your girls, look through some magazines, and look at pictures from real life weddings. This will help you get some ideas of what you like. Think about colors and styles, and picture what you want to achieve in your mind. Will the dresses be traditional? Do you want all of your bridesmaids in the same dress or the same color? Do you want variations on a theme or completely unique gowns? Once you’ve done some research and you know what you want, it will be much easier to find what you’re looking for. It’s always best to try dresses on long before the wedding day to make allowances for fittings and alterations. Even if you’re ordering dresses online, make sure you have time to try them on, and arrange for them to be taken in or taken up. If you’re buying from a store, take the girls with you and let them try on gowns that fit your vision. Go for dresses that suit their body shapes. If you have lots of different shapes and sizes, consider opting for slightly different styles to flatter each individual. Remember that you can always make adjustments to dresses. For example, if you want a strapless gown for some, you could always add a cap sleeve for others. Once you’ve got the dresses sorted, you can start thinking about jewelry and shoes. If you want to buy matching jewels without spending a fortune, it’s worth looking at sites such as elf925. Think about whether you want to go for earrings, necklaces, bracelets or a combination of pieces. If you have strapless gowns, necklaces or drop earrings are a fantastic addition. If you have high necklines, add a simple bangle or a pair of stud earrings. Go for shoes that match the style of the dress and take the location into consideration. For example, if you’re getting married at the beach, it may be best to go with wedges or flat sandals. If you’re planning a wedding and you’re looking for styling tips for your bride tribe, search no more! 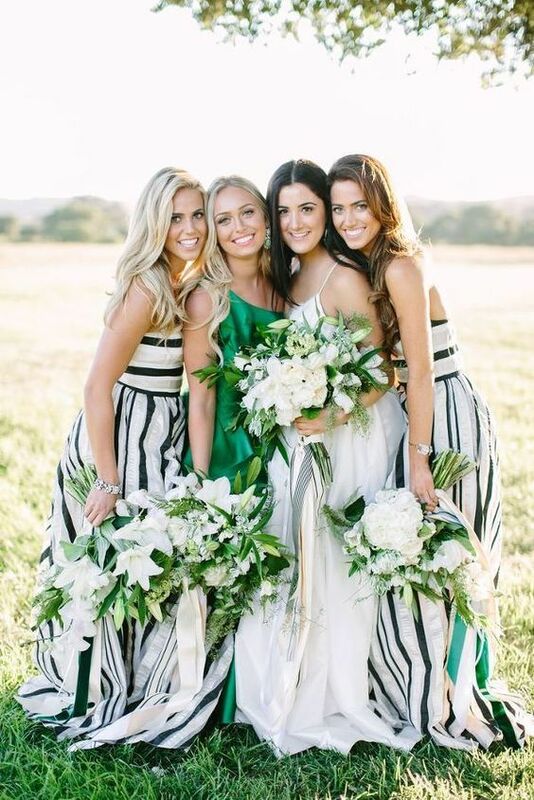 Hopefully, this wedding planning guide has given you some helpful hints, and you’re ready to shop ‘til you drop with your beautiful bridesmaids.